WMS Casino Games or Williams Interactive as it was formerly known, is a Chicago-based company that makes virtual casino games for online casinos and land-based game terminals. WMS are a division of an older company Williams Industries, which dates back to the 1950s and was originally a manufacturer of pinball machines and video arcade games. After the pinball business was no longer considered a viable future direction from the company, the Williams Gaming division was created in 1991. The management decided to work on products for the video lottery and gaming markets of the state, while the video game library was given to a different subsidiary. Five years later, Williams Gaming for casinos created their first slot machine and soon followed with a line of successful slots that opened the door for the company to expand across the gambling sector and ultimate turn WMS into a major slot manufacturer. But it wasn’t until 2010 that the company started seriously expanding over the online gambling market by offering licensed games to UK and US players. To that point, most of the WMS casino games success was owed to their land-based slot terminals and video poker machines, some of which are even considered as pioneering products. But ever since, WMS has been gradually improving and growing as they focused on staying modern and relevant to newer gaming trends. Today, WMS’ original game designs can be found in a variety of online casinos, thanks to their unique appeal that is in large part owed to the licensing efforts of the studio. And since the company became a subsidiary of another global game supplier Scientific Games in 2013 WMS casino games will likely be here to stay in both the online as well as the offline world for years to come. WMS have always been extensively focused on providing game terminals for the land-based industry, which is why the majority of the games they have produced are slots. They’ve also made efforts to produce a series of mobile-only games which include table games like Roulette, although these are rarely found online. Thus, when playing online, you’ll mostly be able to get a taste of WMS’s slots only. Williams Interactive is considered as one of the key influencers of the look and gameplay format that modern slots have. 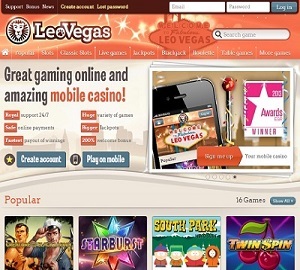 The company was one of the first (together with Real Time Gaming) to start breaking away from the over-used themes and symbols of the classic Vegas-style machines and move into more original and licensed designs. The most prominent example of WMS’ creativity is the classic 1996 slot Reel’Em In: Big Bass Bucks, which was a rare example of a high-resolution game with a game-like bonus round where you could “fish” for prizes. After enjoying success with this classic slot game, WMS Gaming moved on to explore other ways to engage players and eventually started acquiring licensing rights from popular TV shows, movies, and even pop culture icons (like Rival Gaming). And thanks to this fresh gamification approach, their slots have become the key driving force of the company’s casino gaming division. Bruce Lee Dragon’s Tale – After the initial success of their first Bruce Lee slot, the Dragon’s Tale was WMS’ attempt at upping the stakes and adding a video-poker like twist to the game. 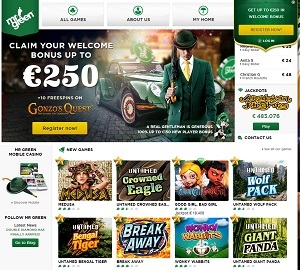 The key feature of this slot is that it comes with 80 paylines which are dispersed over 4 separate screens with 20 paylines each. Being a multi-play slot, the game spins all 4 screens at the same time for even more winning chances. As a plus, any scatter or wild that lands on your main screen is also copied on the remaining 3 screens as well. ZEUS III – Another WMS Hit, the Zeus III twists the standard slot concept by using 6-reels, with the number of symbols gradually increasing from 2 on the first reel to 7 on the last one. There are a total of 192 paylines to bet on as well as standard features like scatters, wilds, and free spins. However, the game is also a part of WMS Gaming’s mobile portfolio, so it won’t be available for desktop playing. Wizard of Oz – Based on the classic film with Judy Garland, the Wizard of Oz is one of the most famous WMS games. Since it’s quite older than other, more modern slots, the Wizard of Oz isn’t the most immersive of slots, but rather offers some classic entertainment. Apart from the theme, which will surely speak to fans of the movie, the game also comes with 30 paylines, a bonus round, multipliers, scatters, and free spins. Raging Rhino – One of the more recent slots by WMS, Raging Rhino uses the popular safari theme and adds one more reel to make the slot more interesting. But what really draws your attention to the game is the 4,096-ways-to-win paytable. And since it’s a recent addition to the portfolio, the Raging Rhino uses smoother graphics and animations and is also playable on mobile. 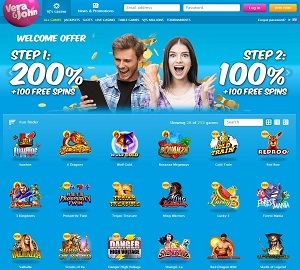 WMS’s online slots used to be tied to the Jackpot Party progressive jackpot when the company owned the Jackpot Party Casino, but later sold the platform and continued some time without a progressive jackpot. But in August 2016, they released the Reel Riches – High Class slot, which was to be their first official progressive game for online players. Apart from the main prize pool, the game also has 6 other jackpots: the Mini, Minor and Major, as well as the Burst, Pulse, and Surge. If you want to check out some of WMS’s slots and see what they are all about, you can find them at dozens of online operators. Their extensive slot collection is mostly found in casinos that primarily cater to slot fans like Vera&John Casino, Drueck Glueck, or Video Slots Casino, but they are also a fixture in some of the most prominent multi-product platforms like the Bet 365 Casino, Red Bet, and Stan James. Thus, finding where to play WMS Games won’t be a problem at all. History of Williams Interactive dates all the way back to 1942. Main focus was the brick-and-mortar casino industry. Not completely unlogical with internet not being around those day. With the status as ‘leader of the industry’ the next step was the online casino niche. With smashing titles like Wizard of Oz, Star Trek their on big blockbusters themed slots conquered the world in a few years. But also videoslots with crazy jackpot’s like reel Em In and Super Jackpot Party became instant mega hist online. The WMS casino games and software are sought after all over the world. With a guaranteed high RTP, hot themes and easy lay-out the WMS casino games and video slots will entertain even the most critical player out there. 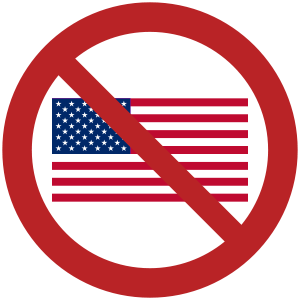 *Williams Interactive Games can not be played in the United States.